A worry free, reliable maintenance program from as low as $14.95/month. Annual maintenance of your furnace, air conditioner, and/or heat pump by a certified technician is the best way to protect your HVAC investment. Regularly scheduled maintenance will help prevent unnecessary breakdowns and repairs, extend the overall life of your heating and cooling equipment and ensure that your HVAC system is operating safely and at optimal levels of efficiency. For as little as $14.95 a month, our Comfort Club maintenance program gives customers peace of mind in knowing that their heating and cooling equipment is operating safely and efficiently. 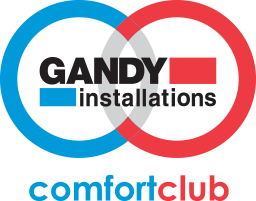 Protect your HVAC system by joining the Comfort Club, for regularly scheduled, reliable and hassle-free maintenance. Contact one of our home comfort specialists today to discuss which plan would best suit your needs, budget and lifestyle. Our thorough commercial inspection and maintenance programs allow you to focus on business while we focus on making your business safe and comfortable. Having our qualified technicians deliver maintenance all year round provides peace of mind that makes business sense. Safety: regular maintenance ensures that your units are operating in the safest manner possible. Efficiency: during a tune-up we make sure that your equipment is set up to operate at its highest possible efficiency. Breakdowns: regular maintenance will help prevent unnecessary breakdowns especiallly living in the west coast weather where it gets extremely hot or freezing cold. Regular maintenance will also help extend the overall life of your equipment. Talk to one of our comfort specialists about tailoring a plan that fits your needs and budget starting from as low as $24.95 per month!